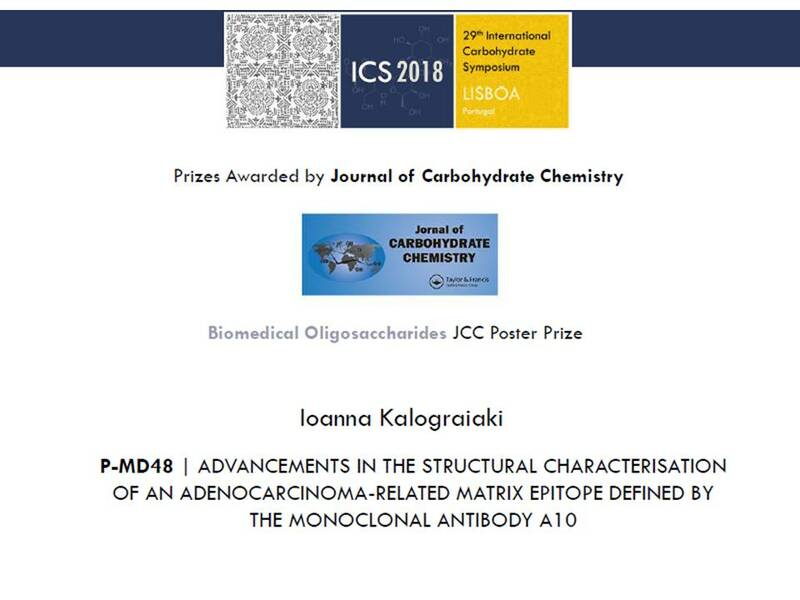 The study presented by Dr. Ioanna Kalograiaki at the 29th International Carbohydrate Symposium (ICS 2018) held in Lisbon (Portugal), has been awarded with the JCC prize in the Biomedical Oligosaccharides section. This work is part of a research project of INMUNOTEK for the characterization of the Ca10 tumor epitope. The project has the collaboration of the Molecular Biology Center (CIB-CSIC) and the San Carlos Clinical Hospital of Madrid. The Ca10 tumor epitope is being used for the development of a new carbohydrate-based cancer vaccine.